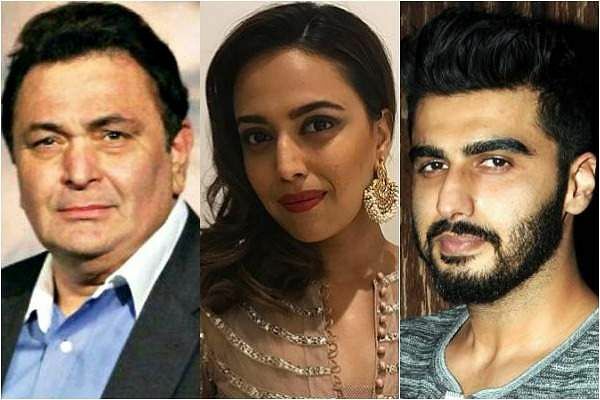 As the news of a fire at the Notre Dame broke out, Bollywood celebrities like Rishi Kapoor, Nimrat Kaur and Arjun Kapoor among many others took to social media to voice their heartache on seeing the iconic cathedral in flames. The devastating fire that engulfed the Notre Dame, the 850-year-old Unesco world heritage landmark in Paris, was brought under control on Tuesday morning. The Cathedral's main structure, as well as its two towers, has been saved after it was said that the reason for the fire was construction and restoration work at the site. The fire, which began at around 6.30 pm, on Monday, quickly caused the collapse of the Cathedral's spectacular Gothic spire and the destruction of its roof structure, which dated back to the 13th century. Rishi Kapoor, on hearing the news, immediately tweeted, "Notre Dame de Paris Cathedral will survive! It has the good wishes and prayers of millions." However, he wasn't the only one as Arjun Kapoor soon after said, "Devastated on seeing the fire at the Notre Dame Cathedral... a piece of history turn to ashes. Our hearts are with the people of France." The untimely fire also led other celebrities Nimrat Kaur, Riteish Deshmukh, Raveena Tandon, Tamannaah Bhatia, Boman Irani, Gul Panag and Rahul Dholakia to react. While Nimrat said she was one with everyone grieving for Notre Dame de Paris, she can never forget the feeling of beholding the beauty of that sight when she first experienced it and it was indeed a profound loss. On the other hand, Tamannaah Bhatia also giving a lesson in history said the structure has been around for over 800 years not just as a testament of our history but also place for many that found their peace, hope and faith in. She added that the iconic monument has been an inspiration to artists across the globe and it's really sad to know that humanity has lost Notre Dame today. Several others are sharing their experiences from their visits to the historic structure, as officials try to save as much as they can of it.